What better name for a Tex Mex Restaurant!?! A chilli, an exceptionally hot chilli, produced largely in Mexico today and used extensively in Mexican cuisine. While Tex Mex is the Texas version of Mexican cuisine, there is quite some similarity and large differences between the two. OK, what's there in a name? The rose would still smell the same under any other name, isn't it? Now, who is the poet who said that? Never mind. OK, Habanero might be a better name for Mexican and a not so apt for Tex Mex. Moving on. We were in a hurry, but I was adamant. I haven't had good Mexican flavours in a while and so we decided that we will get one dish each and leave. So we tasted only two dishes in the restaurant and while that is no way to judge any place, we quite liked it. So which two dishes? There was a buffet priced at Rs. 499, with a live Taco counter et all, but we stuck to a-la-carte. Remember? Time only for 2 dishes. So we narrowed it down to Nachos and Fajita. The nachos arrived first. Smothered with guacamole and veggies and sour cream and salsa and grilled chicken, it was quite nice. Not as nice as having it abroad, but hey, everything from water to the chilly to the ingredients are different, so I'll cut some slack. 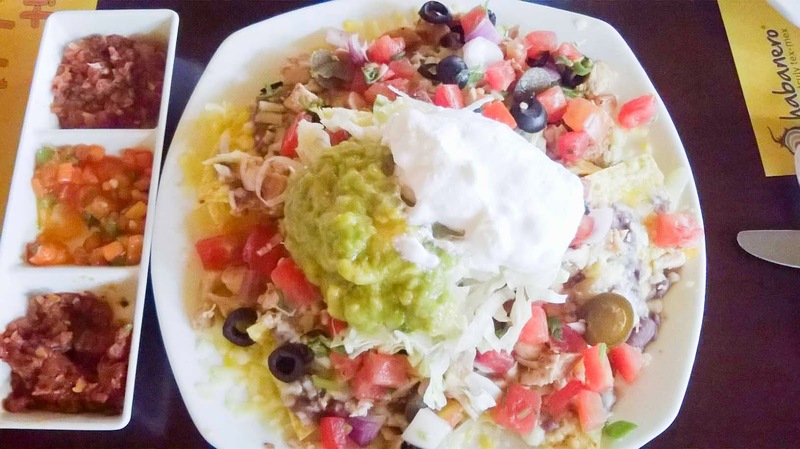 The nachos was my friend's order and he liked it so much that he gave two mouthfuls with a grudge! 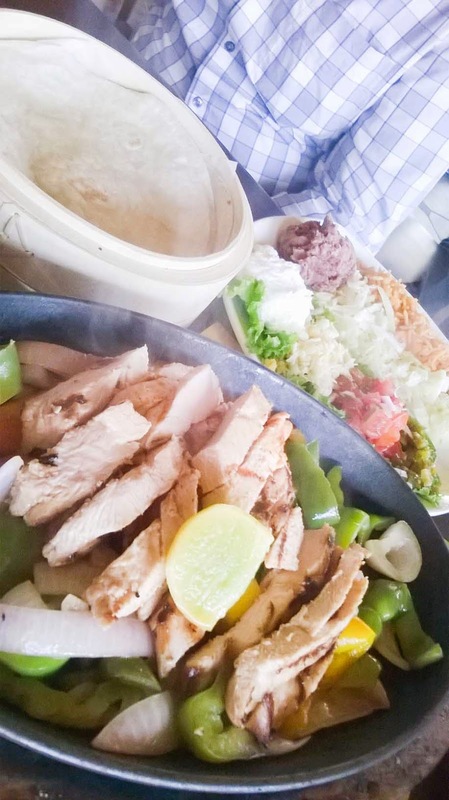 And then my fajita arrived grandly on a sizzler, a plate loaded with toppings and a box with three tortillas (yeah, corn roti), very similar to how it is served in Hard Rock Cafe. It was my turn to grudge and I made one roll for him while I rolled up two for myself. Fajita's is almost like paav bhaji when it comes to the quantity of the bhaji to the pav. You always have to ask for extra pav. Why can't they just give you two more? Ditto with fajita. There was enough filling to roll up 4 or even 5 fajitas, but they gave only 3 tortillas. I ate the remaining with a fork and spoon. Oh yeah, it was quite nice too and since I rolled it up the way I like it, there was nothing to complain. The quantity of both the dishes were very satisfactory. Since any place that served alcohol attracts that extra tax, we had to pay a service tax, a VAT on the bill, so essentially, about 25% more for tax. I don't remember if they charged us a service charge, but the bill was about Rs. 750 for the three dishes. Service was very polite and friendly and the menu tells us the story of the restaurant. An Indian boy and an American girl met, fell in love, married, decided to come back to India, gave up their corporate careers, roped in a chef and established this restaurant. I was at the Koramangala Branch, but they have two more in Bangalore. Sadly, I heard from one of their consultants that Habanero's entry into Chennai is delayed for now. Maybe forever. Sigh!! !